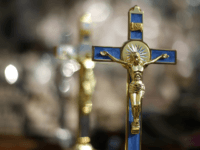 Jesuit Father Antonio Spadaro has voiced strong opposition to a proposed law that would mandate placing crucifixes in all public buildings, rejecting the bill as the politicization of a religious symbol. 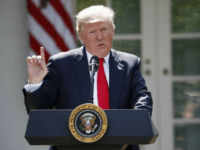 Left-wing Italian theologian and journalist Massimo Faggioli has placed the blame for the Charlottesville tragedy firmly on the shoulders of President Donald Trump, whom he declares to be “theologically and morally” bankrupt. The New York Times has added its voice to a chorus of commentators on the recent Vatican hostility toward American Catholics, conservatives, and Steve Bannon in particular. 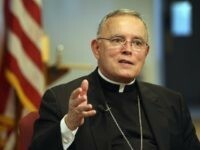 In a hard-hitting essay, Philadelphia Archbishop Charles Chaput has joined the dozens of Christian leaders who have denounced the ignorant and insulting article published this week by the Vatican-vetted journal, La Civiltà Cattolica. 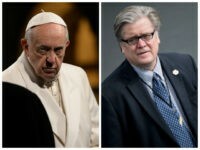 Two of Pope Francis’s closest aides have written a scathing article denouncing conservative American Christians in which they assail Stephen K. Bannon by name as a fundamentalist with an “apocalyptic” views of geopolitics. 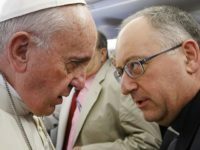 In a peculiar, rambling essay, papal adviser Father Antonio Spadaro SJ has caricatured white southern evangelicals as well as conservative American Catholics as ignorant, theocratic, Manichean, war-mongering fanatics anxiously awaiting the apocalypse.